More than 80 CRNAs and SRNAs meet in Topeka, KS for Lobby Day on January 25th, 2018. Meeting with Kansas Governor Brownback and their state representatives. WICHITA, KAN. – On October 16, 1940, The Kansas Association of Nurse Anesthetists (KANA), was founded by seven nurse anesthetists who met at the Wesley Hospital Nursing Home in Wichita. This month, KANA will celebrate the fact that 110 out of 132 hospitals (83%) in Kansas rely solely on Certified Registered Nurse Anesthetists (CRNAs) to provide anesthesia care for their patients. CRNAs are advanced practice registered nurses who administer anesthesia in all types of cases. Today more than 600 CRNAs practice across the state, and will commemorate 75 years of ensuring patient access to safe, cost-effective anesthesia care, especially in the vast rural areas. 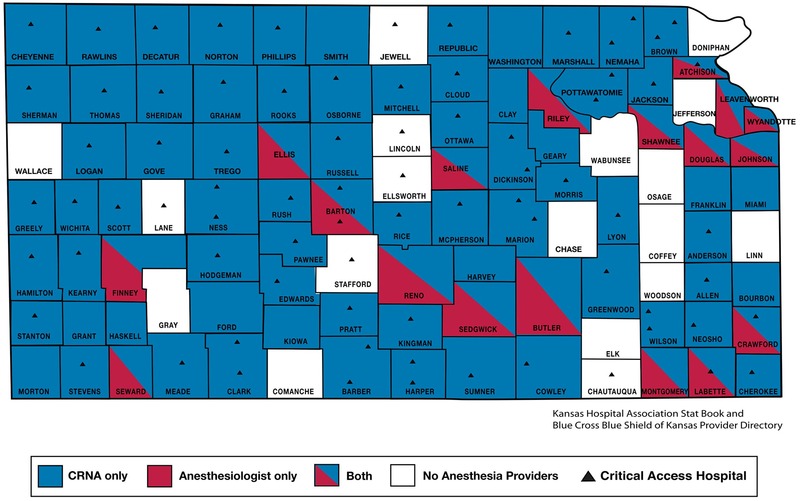 Another special designation that KANA boasts is that in 2003, Kansas become the seventh state (out of 17 states to date) to opt out of the Medicare physician supervision rule for CRNAs, enabling healthcare facilities across the state to determine how best to staff and manage their anesthesia services. Kansas citizens have a long standing history of dedicated, progressive, and high quality CRNA care.